Being a children’s librarian has many benefits and I would argue, is one of the most fulfilling library careers out there. But listing all the reasons why being a children’s librarian is awesome isn’t the point of this post. Having experience as a children’s librarian can improve your public speaking skills! 1. Voice projection is improved during storytimes, especially while attempting to speak over unruly audiences of all ages. 2. Confidence is steadily built as the children’s librarian finds herself obligated to make introductions before performances. 3. Negotiation and mediation skills are learned serving as a booktalk leader or addressing fines with patrons. 4. The whole suite of creativity skills is expounded upon while researching, preparing, implementing, and evaluating programs. 5. Change and redirect abilities are honed during storytimes, programs gone wrong, or the other numerous odd happenings in the daily work of a children’s librarian. 6. 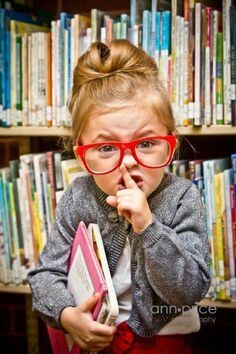 Humor is improved because as a children’s librarian, one learns to laugh at themselves (and at the cute toddler who is embarrassing their parents by shouting curse words they heard somewhere but don’t understand). 7. Leadership tact and ability increases as the children’s librarian manages large crowds and reroutes needs to the right places. 8. Managing the audience experience through expression, tone, and volume is learned in abundance while reading aloud during storytimes.